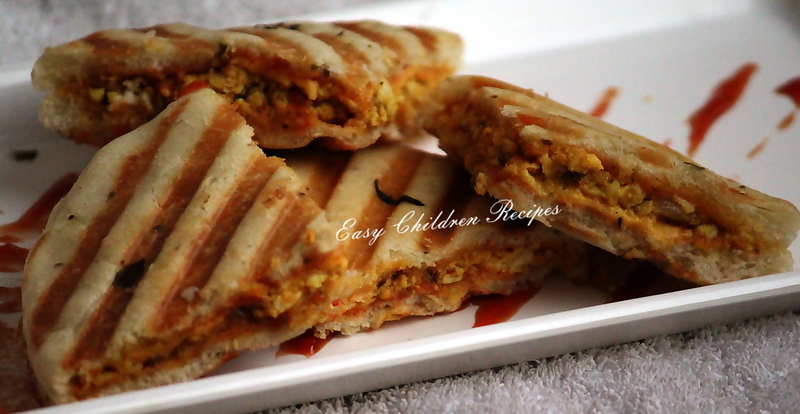 A smart and yummy way of consuming leftover kulcha's . Make any filling of your choice and stuff in kulcha, toast or grill and enjoy. You can pack this in kids school lunch box or serve in children's birthday party or enjoy with your friends in kitty party. Heat some oil, add cumin seeds, let it turn brown, saute onions till golden in colour. 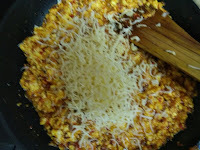 Add grated tomatoes. 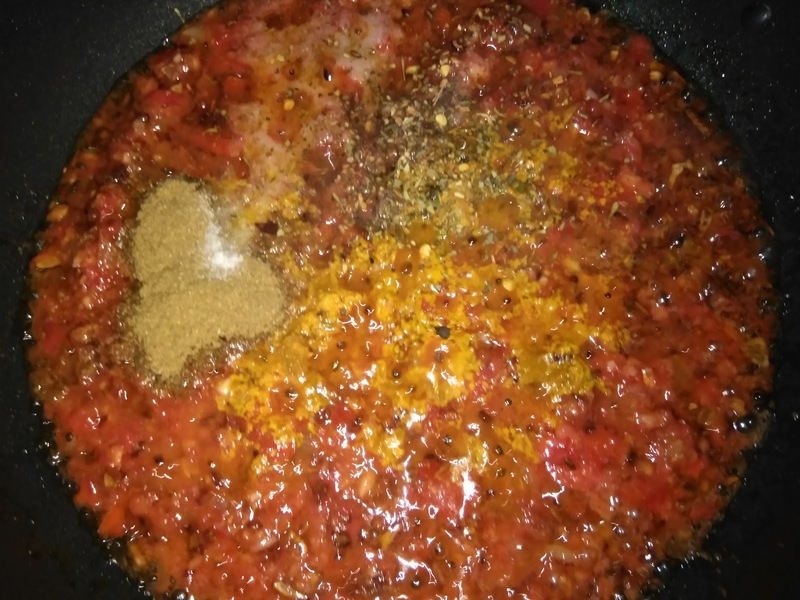 (I grated ginger-garlic with tomatoes). 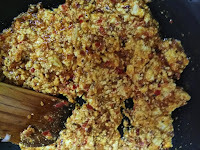 Add salt, red chilli, coriander powder, turmeric powder, garam masala. 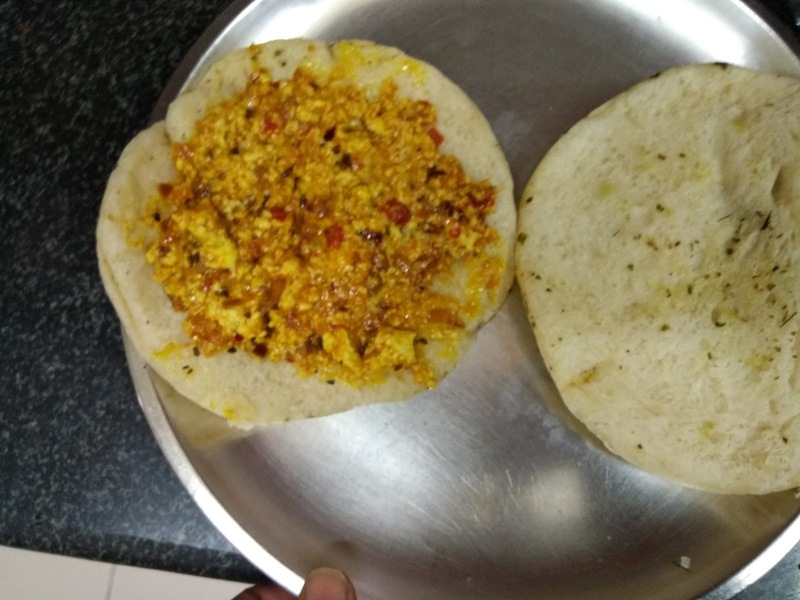 Mix well and cook on low flame till it start leaving the sides of pan. 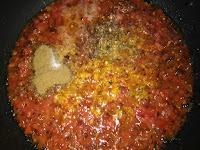 Add tomato sauce and cook for another 2-3 minutes. 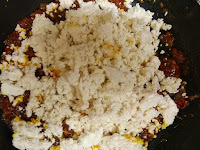 Add crumbled paneer and cook for another 2-3 minutes. 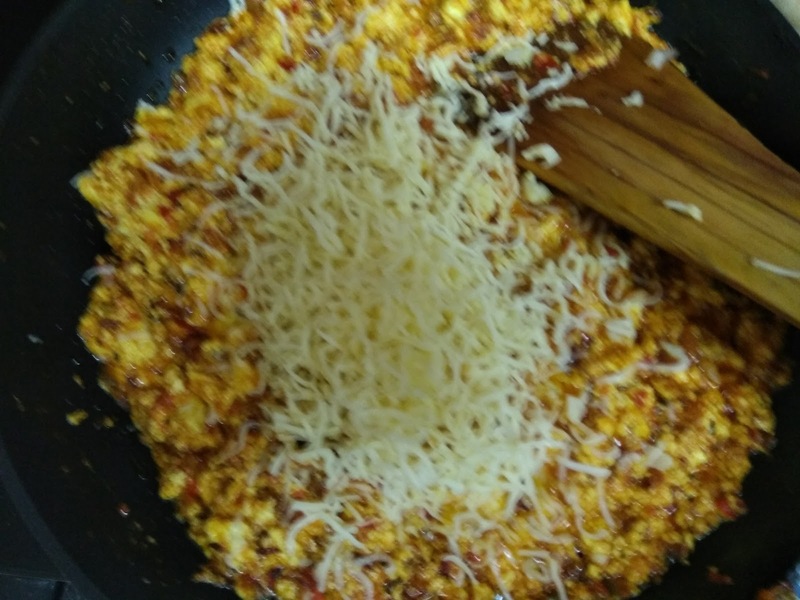 Add kasuri meethi and grated cheese, mix well and turn off the flame. Let stuffing come down to room temperature. 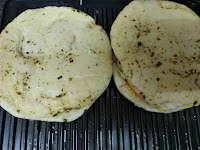 Don't over cook paneer or it will become hard. 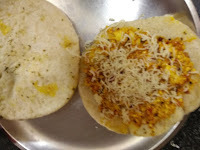 Take one kulcha, keep generous amount of paneer filling, for more cheesy flavor, top it with kids all time favorite cheese, close it with another kulcha. 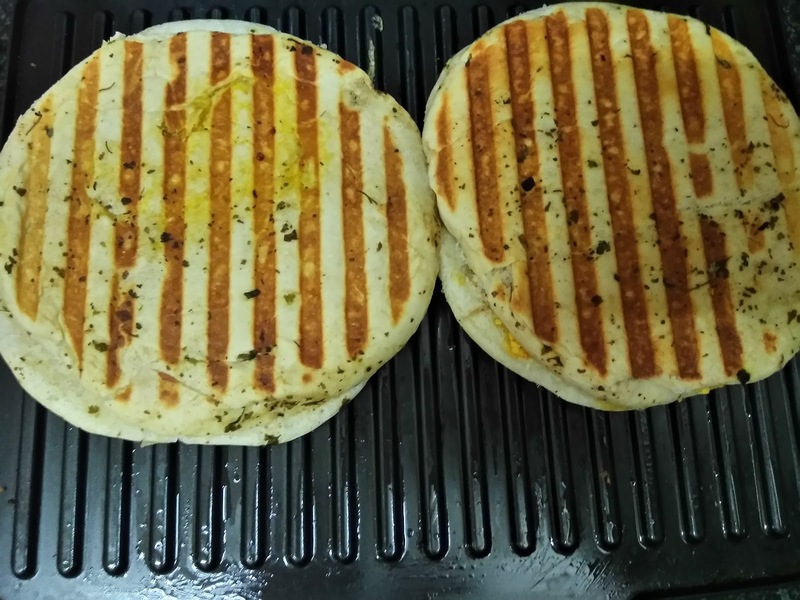 Heat grill pan or any regular tawa, grease with some oil, keep stuffed kulcha and press it hard with spatula or keep some weight over it (you can use some heavy utensil). 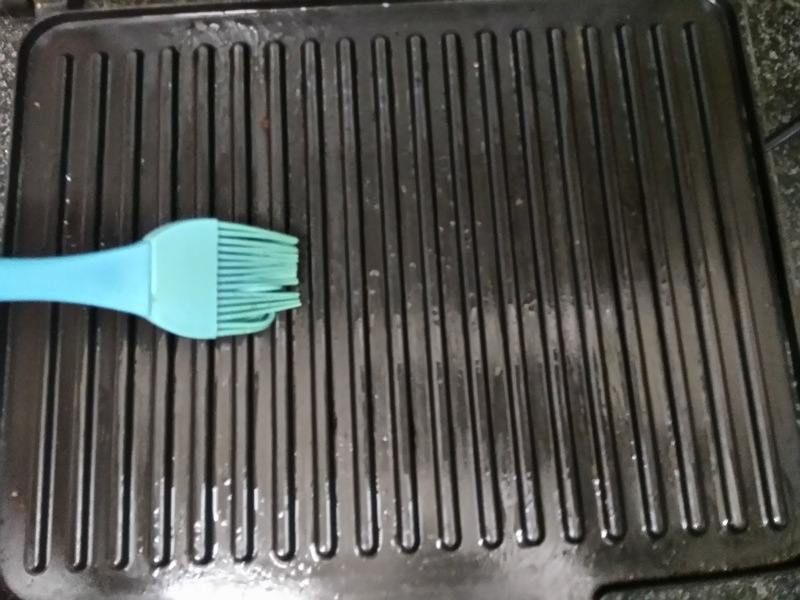 Once brown and crisp, flip and toast from the other side too. 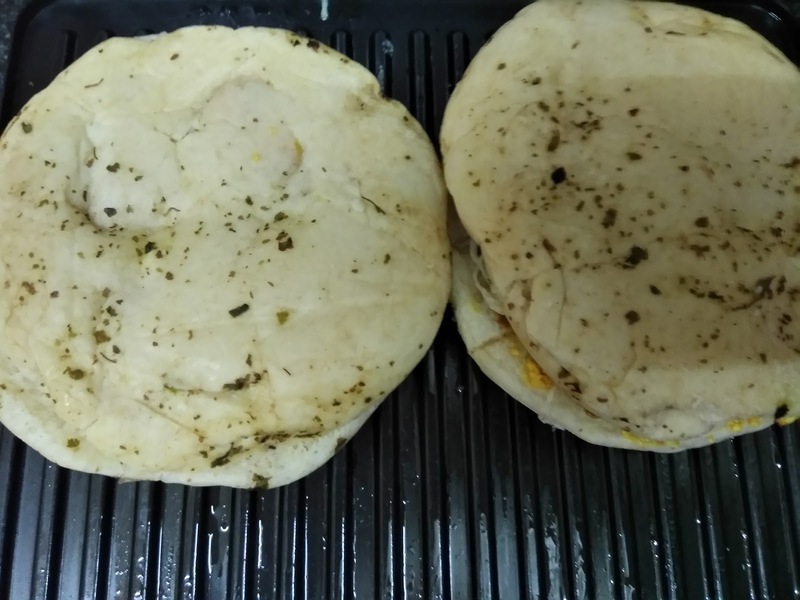 Let it come down to room temperature, then cut into desired shape. 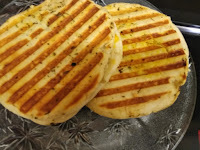 Don't cut when it is hot or the filling with ooze out. 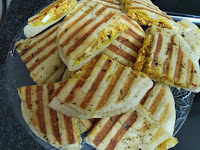 Prepare the stuffing one night prior if you plan to pack this for kids school lunch box. 1. 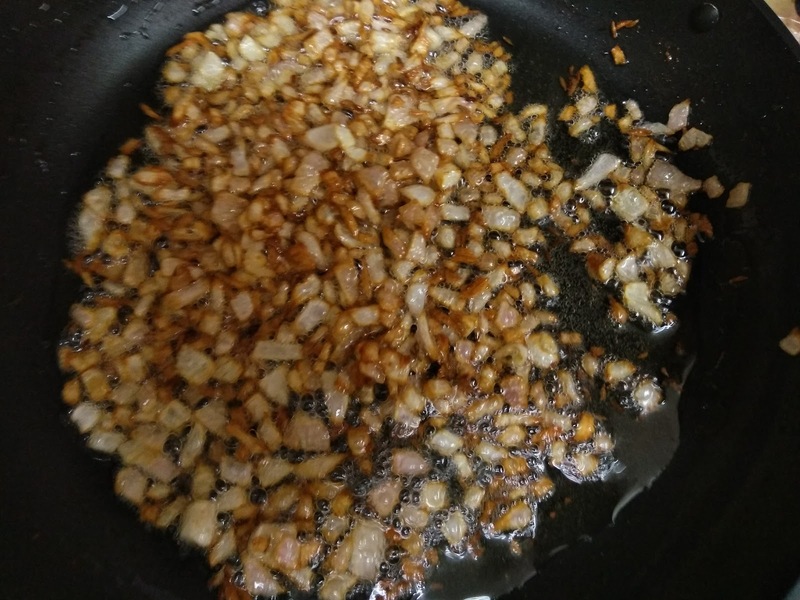 Saute onion till golden. 2. Add grated tomatoes with grated ginger-garlic. Add dry spices. 4. 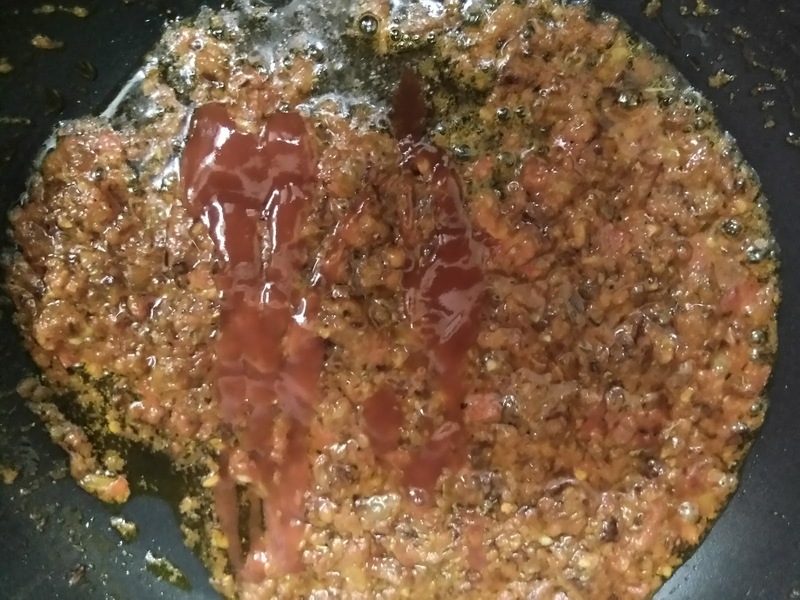 Once gravy start releasing oil or start leaving the sides of pan, add crumbled paneer. 5. 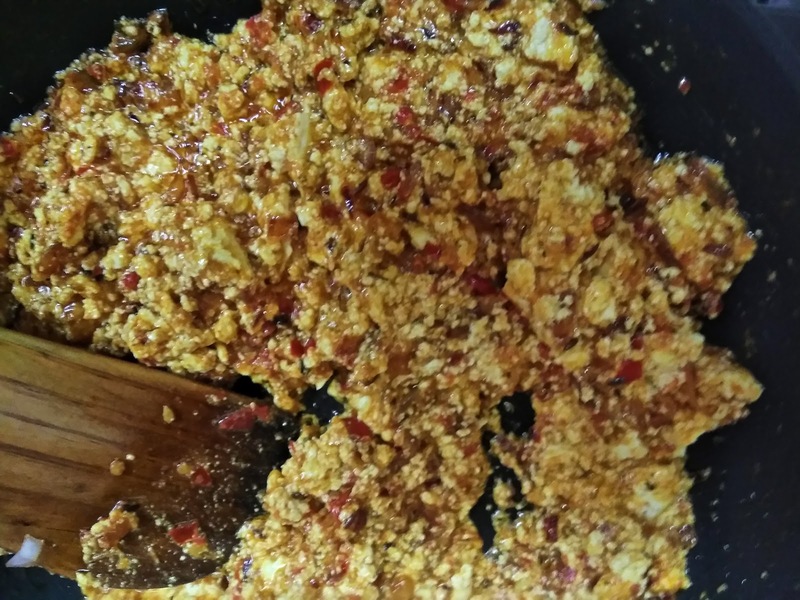 Mix well and cook for just 2-3 minutes, overcooking can lead to hard and dry paneer. 7. 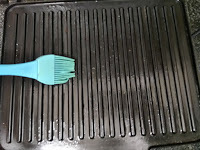 Brush grill toaster or pan with oil. 8. Keep generous amount of filling over one kulcha. 9. 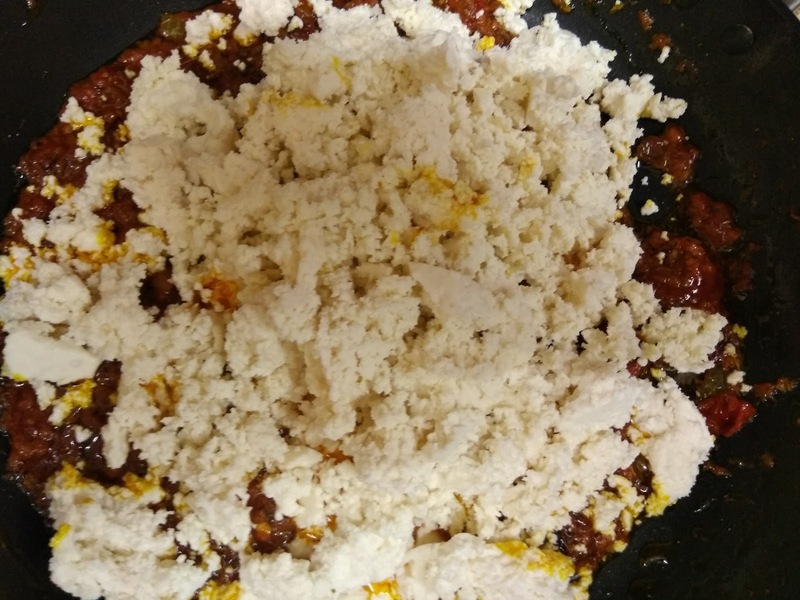 Some more grated cheese if you wish. 10. 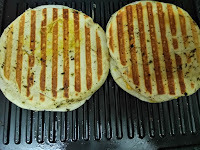 Keep another kulcha on top of filling and close the toaster or toast over tawa or pan. 12. Let it cool down a bit. 15. Or pack in kids tiffin box or serve in children's birthday party.